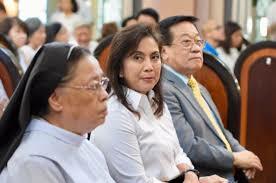 Vice President Leni Robredo supporters and allies repeatedly asked the Commission on Elections (Comelec) to merit the 25 percent policy in the manual recount of the disputed areas. Therein, a supposed election pool fraud in VP 2016 elections was being brought by former Senator Bongbong Marcos. The ruling granted to conduct recount and weeks after the number of disparity of votes became thin due to applied and mandated 50% shading policy by the Comelec. A letter was sent by Loretta Ann “Etta” Rosales and Sr. Mary John Mananzan expressing their concern in the recount process with the threshold of Comelec mandate, thus in a statement “With an outdated threshold in use, we fear that thousands of votes will be disenfranchised and the real choice of the people will not be heard."